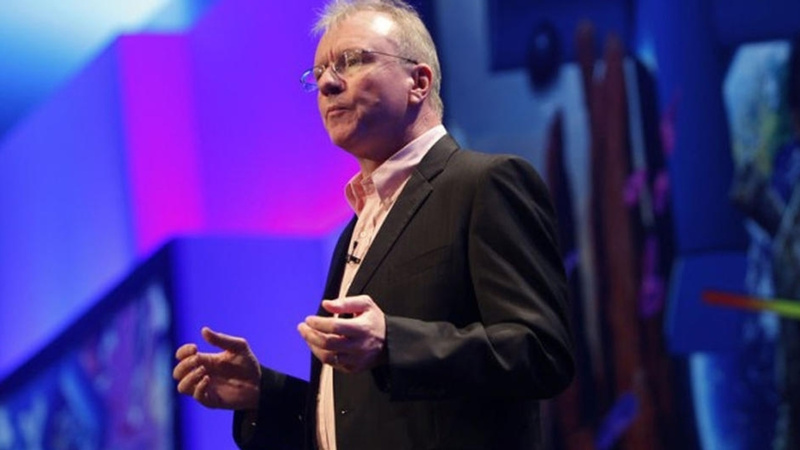 Jim Ryan has been appointed the new President and CEO of Sony Interactive Entertainment, and PlayStation fans are worried. The divisive executive has been with the Japanese giant since the beginning, playing a key role in the company’s dominance of the European continent. But he’s also said a couple of silly things to the media, like blaming the PlayStation 4’s lack of console cross-play on the fact that it needs to think of the children. Frankly, he should have got bonus points for using a Simpsons reference in that shoddy piece of PR spin. The biggest reason for Ryan ire, though, is an off-the-cuff remark he made about backwards compatibility. The executive has been quoted as asking why anyone would play older games, but there was context to what he was talking about. Here’s the full quote: “I was at a Gran Turismo event recently where they had [the] PSone, PS2, PS3, and PS4 games, and the PSone and the PS2 games, they looked ancient, why would anybody play this?” It’s a clumsy comment to say the least, but there’s no doubt that certain genres of game age less gracefully than others. Would you honestly pick FIFA International Soccer over FIFA 19? Of course, some feel that Ryan’s promotion means that backwards compatibility will now be impossible for the PlayStation 5, but we reckon that’s an overreaction of the highest magnitude. In fact, we’ve noticed for a few months that there’s scepticism surrounding the oft-requested feature, and we’ve found it bemusing. Now obviously it hasn’t gone to the same lengths that Microsoft has in terms of bringing legacy software to the PS4, but we think it’s idiotic to assume it’ll have the same priorities next-gen. In fact, there’s more reason to believe the PS5 will be backwards compatible than won’t, so let’s look at the facts. Look, we’re not hardware engineers and we’re not going to pretend that we are – there’s Digital Foundry for that. Nevertheless, we do know that much was made of Sony’s decision to adopt an x86 architecture for the PS4. 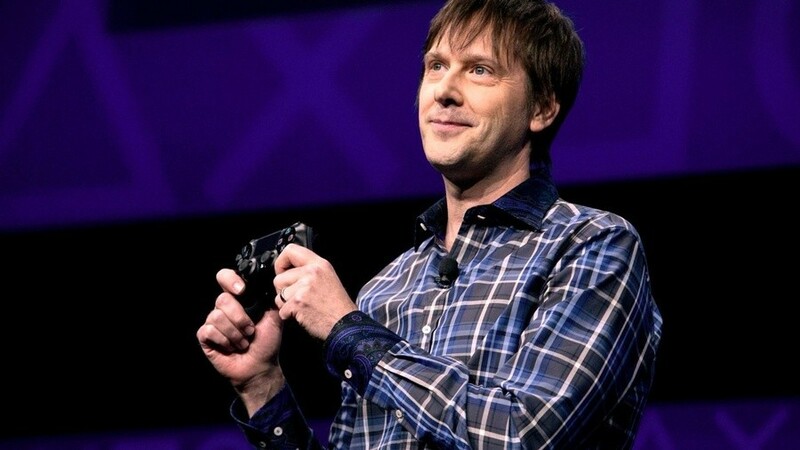 One of the reasons boffin Mark Cerny selected the x86 architecture is that it’s much easier for developers to work with, and that’s proved true – by all accounts, the company’s current console is a breeze to program for compared to the infinitely more awkward CELL architecture infamously leveraged by the PS3. The other reason? It’s future proof. This means that when the PS5 does arrive, it’s likely to be built upon the exact same architecture, meaning that it shouldn’t have any real issues running software originally written for the PS4. Sony is making obscene sums of money from the PlayStation Store these days, and it’d be incompetent for it to forfeit the enormous library of software it’s cultivated this generation when transitioning to the PS5. While it’s true that it abandoned the PS3’s storefront, leaving all of those purchases in the past, it had no option due to the aforementioned CELL architecture issues. Moreover, the PS Store was not as established on the last-gen console as it is now – it wasn’t until the very last 18 months of the generation that titles launched day-and-date digitally on the system. People have much bigger digital libraries these days, and that comes with heightened expectations. Of course, there’s also incentive for the Japanese giant to make all of this software compatible with the PS5, as it’ll be able to monetise the games through store promotions far into the future, and that’s ultimately going to have more value to its bottom line than the occasional remake or remaster. The way people consume games is changing, and if we can see it, then so can the biggest gaming manufacturer in the world. 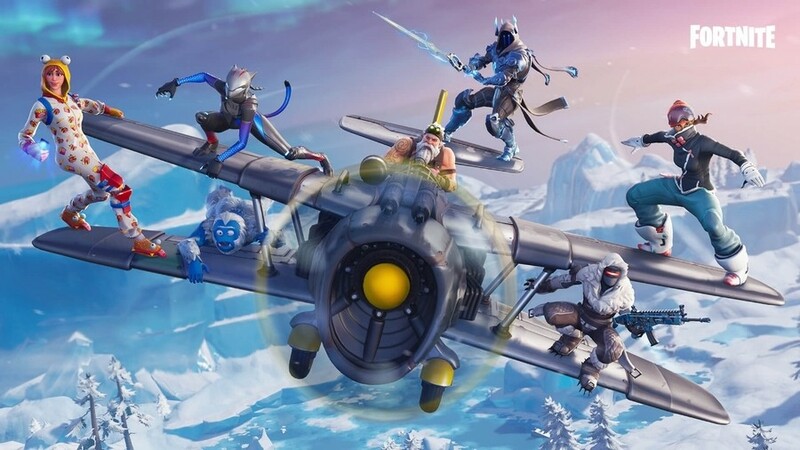 The reality is that titles like Fortnite and Destiny transcend the traditional release model, where they’re almost platforms in and of themselves – evolving, updating, and changing constantly. While there may very well be PS5 “updates” for these games in the future, Sony is not going to force you to start from scratch. Many people invest heavily into these titles, purchasing Battle Passes and unlocking loot, and it’d be unacceptable for the manufacturer to make you reset your progress in these massively popular service-driven games. Backwards compatibility is one way it’ll allow these titles to persist into the new generation and beyond. Oh how fickle we are! Sony has been painted as almost anti-backwards compatibility over the past five years, but its history with the feature is actually exceptional. Of the six major PlayStation platforms, there’s only two that have no form of backwards compatibility at all – and one of them is the PSone! 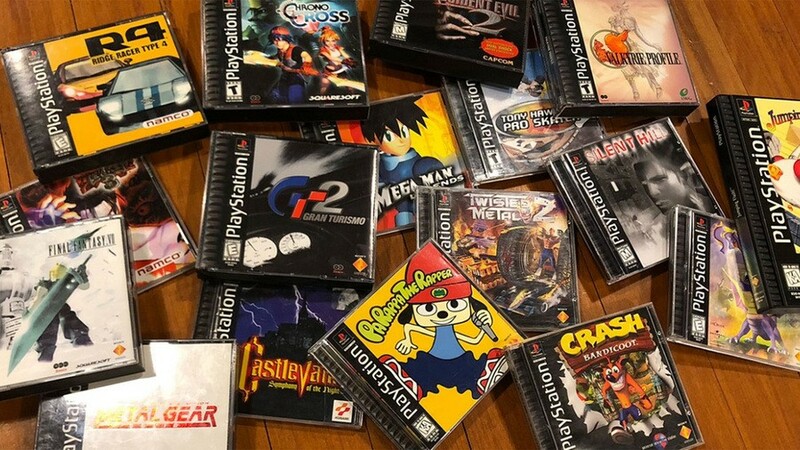 If we look back, the PS2 could play all PSone titles; the PS3 initially could play all PSone and PS2 titles, and was later revised to purely play all PSone titles; the PSP could play select digital PSone titles; the PS Vita could play select digital PSone and PSP titles. It’s only really the PS4 that’s ditched this feature, but we’re confident that Sony would happily sell you digital PS3 games via the PS Store if the CELL architecture wasn’t such a headache. Obviously there’s still PlayStation Now which is an option, but that’s a different part of the discussion, so let’s leave that for now. The bottom line is that, historically, it’s actually been very supportive of backwards compatibility – perhaps more so than many of its competitors. Even if we assume that Jim Ryan is an evil man who hates all old games, he can’t stop backwards compatibility at this point. We know that PS5 is deep into development, and the project is probably close to completion at this stage. By the time the former PlayStation Europe executive takes his new post at the top of the tree on 1st April, he won’t have the time or opportunity to make any meaningful changes to it. So even if you do prefer Gran Turismo 2 to Gran Turismo Sport, just don’t worry about it – backwards compatibility with the PS4 at the very least will be available on the PS5, we promise. Are you worried about backwards compatibility on the PS5, or do you think it will play PS4 games just fine? Will you switch to another console brand if the PS5 doesn't have backwards compatibility, even though that won't play your old PlayStation games either? Panic about Uncle Jim in the comments section below. If the PS5 can play all games from previous systems I’m in. Murking my friends and family in Budokai Tenkaichi 3 again sounds too good to be true. @OmegaYato I'm confident it'll play PS4 games; I wouldn't expect support beyond that. Why would a person buy a PS5 to play PS4 and older games? I agree with the context of this question. I personally believe there would be little to none backlash if the new console was not BC. As the article notes, the PS store can serve as that service. If someone complains about the need to buy the same game twice, then dust off your old console. Maybe I'm in the minority here, but BC has always been an overrated service IMO. I'll take remasters and remakes but the ability to play old games is a novelty. BC has an audience which it appears Sony recognizes but that audience isn't me. Wake me up when we're looking at actual PS5 games. Can you Honestly see the VR Games being ditched as Last Gen Console …? I'll be honest, the only reason I care about this is because I would love to be able to play Towerfall on my PS5. I will be happy if its backward compatible with my ps4 games that I have bought physically, digitally. Everything else,ps3,2,1 is just icing on the cake. But ps4 support is a MUST. It would be be awesome if PS5 can play PS4 games. If it goes beyond that then that would be amazing. It will most likely have PS4 BC and maybe PS3 aswell. But I would not expect ps2 and ps1 BC. Although it would be nice ofcourse.
" It’s a clumsy comment to say the least, but there’s no doubt that certain genres of game age less gracefully than others. Would you honestly pick FIFA International Soccer over FIFA 19?" Bit of a false dichotomy there. You're never forced to choose between one or the other, it's just nice to be able to play one at one time, and the other another time. Anyways, I'm personally not too bothered about BC, though it's definitely a bonus. If it's included I hope it will let you play physical games as well. It’d be nice to have, but I also have my good ol’ CRT, and a PS2, PS3 and PS4 if I need it. What are the chances of them doing the whole checkered 4K thing again? Very simple I'm not buying a PS5 if it can't play PS4, PS3, PS2 and PS1 games. "Would you honestly pick FIFA International Soccer over FIFA 19?" Yes I would. That aside I don't see any issue in PS5 playing PS4 games and as so many recently have dynamic resolutions and unlocked frame rates we should get some great results too. Backwards compatibility is the main reason I have the X and being able to play the likes of Red Dead Redemption, Fallout 3, Panzer Dragoon, Halo and the old Star Wars games in 4K with improved performance is fantastic. Here's hoping we get something similar with PS5 even if it at least just plays the games as is. service games like fortnite or destiny are completely irrelevant to the discussion of backwards compatibility. your progress / player data are on the back end servers, all it would take would be for epic or bungie to enable it on a new PS5 client. x86-64 is an instruction set, it is not an architecture. in and of itself, that's far from guaranteeing BC. if and how the instruction set is executed can be very different. PS4 games are not PC games, they don't come with loads of driver support for multiple hardware configurations. take a hard-drive with Windows on it from one PC and put it into another with a different CPU and see how far you get in the boot process. BC is achievable, it's just not trivial. I am pretty sure ps5 is going to play ps4 games with the ps4 pro enhancements and if it could also play ps3 games and more It would be wonderful! Just as i don’t throw books in the garbage once i read them, i deem fundamental for the history of videogames media to be available at all times, even if i don’t constantly use the chance. What you also have to remember is Mark Cerney's talk with Digital Foundry surrounding the decision to use the same CPU and GPU and how important the 'tick rate' was to ensure the PS4 Pro would be compatible with PS4 games. There are a few games that don't run as intended with the Boost mode engaged. Its made more complicated now with the Pro. Will BC run games like the Pro, like a boosted Pro or just the base PS4? The CPU & GPU may have to run like a PS4 and/or Pro - especially if the games were built to utilise some of the features added to the Pro - like the object tracking to improve the CB rendering. Of course they could just have it run as a 'base PS4' so Pro owners would get a 'downgrade' on what they were used to. Like I said, the Pro basically offers 3 performance metrics - a base PS4, a 'boosted' PS4 and the 'full' PS4 Pro. I think that would be very difficult to build in to the PS5. Its not as simple as having the 'same' architecture and therefore games must run on it. It doesn't work like that on PC either but on PC you can download new drivers to get games to run properly and also on PC, these are made to work on a vast array of differing systems and be optimised by the 'gamer' to run - we may call it more game setting options but its 'optimising'. The Xbox One does offer BC but does it by emulation. Its also not total (around 25% of the 360 titles) and games are checked to see if they actually will work as well as have to get permission from devs/publishers too. That includes checking any additional DLC content. Microsoft has a team of people working on bringing old games forward. Licensing issues also could prevent some games being playable on newer hardware. These guys are always in PR mode. He downplayed Backwards Compatability because their new console didn't have it. He's not going to talk about what a great idea it was when they've put out a machine that couldn't do it. Very much doubt those were his actually thoughts on older games. ps1 and ps2 games may be possible through emulation on a ps5 and ps4 is pretty much the same architecture as a ps5 due to both being x86. The only one that may be impossible is the ps3, that system's design was a complete mess to develop for. I've still got an old ELO album on cassette. I'll be chuffed if it can play that. But that's the problem; if the console isn't backwards compatible, you can't have the digital versions of the games either. They'd have to port them all individually to get them up and running on the PS Store. @jdv95 Forget about the PS3, they'd need to include a Cell processor, that's never going to happen. PS1 and PS2 could be possible if they decide to throw some legacy MIPS-based hardware into the system. I've actually been wondering about that, because old tech should be incredibly cheap at this point. The only issue is that it's old tech, and therefore nobody makes it anymore. "Look, we’re not hardware engineers and we’re not going to pretend that we are – there’s Digital Foundry for that. " I actually expected it to say @BAMozzy were it said Digital Foundry. Feels like only half this article is fact, the other half wishful thinking. I don't now whether PS5 will be BC or not, and I currently don't think there's anything definitive that tells us either. I think after Sony does tell us we'll be able to look back on comments over the past 2 years and say "see, there it was" but it's still just random guesses being right. A little history of organizations I learned at University. Organizations start by inventors, people who make a new product to sell. That person runs the company by promoting the product. Then the company gets too big and you need a guy who's good at running the company, a manager, not an inventor, who cares about the organization more than the product. So right now who is making the call at Sony? The PS5 inventor who wants to show off how good the PS5 is w/ it's BC? Or the money guy who knows they can make more money reselling PS4 games on the PS5 than he can w/ BC basically giving away old games on the PS5? The hardest thing for Sony probably isn't getting BC to work on PS5, it will be explaining to people why it doesn't work if they decide not too. If the hardware works, it should work. But this is Sony, cross console play should work for all games, but it doesn't. I feel like it's less a hardware decision than a business decision at this point. Oh, and I think it's time we start differentiating between disc and download games. If there's a PS5 w/ no disc drive, it can't play PS4 discs. Or if Sony comes up w/ some weird proprietary disc to "combat piracy" - see Vita memory cards - and that drive isn't compatible w/ PS4 discs. I doubt it, but it could happen. I think not losing all of your gaming library (even if only a subset of ps4 are bc) will be a huge pr bonus at ps5 launch. Combined with a strong next gen launch titles, it has the most chance of getting current playstation owners to upgrade. It's certainly the difference for me between buying at launch and after 12-18 months with the first price drop/bundle. It's also worth remembering that Microsoft might drop some decent first party content (with some of the studios purchased) on game pass with their new console with quality older titles. Sony needs to make ps5 attractive as possible. Everybody thinks about their own purchased library when they think about BC. A lot of people seem to forget that a lot of gamers are interested in experiencing classic games that for one reason or another they never played. If you can provide them, that's money to be made on games that are already done. Why wouldn't you do it? Having the same architecture is absolutely no guarantee whatsoever that PS5 will be BC with PS4. PS4 games are built, optimised etc to the exact specs of the hardware, the exact CPU, GPU etc. Sony couldn't replace the Jaguar CPU with a Puma - a newer but still the same family CPU because it has a different 'tick rate'. PC's get away with it because they have multiple drivers they can download to get older games working on newer hardware. These games are also built for a vast array of hardware - unlike a PS4 which is a fixed and known hardware spec. Some games may well work - others could crash, have weird animation glitches etc because the hardware is very different from the 'exact' hardware in a console. I have much more invested in PS4 in terms of digital and physical games than I ever did with PS3, 2, or 1. I was pretty annoyed when PS4 wasn't BC with any of the digital/physical library I had built up before, so now moving forward, I can say with confidence that I won't be pulling the trigger on PS5 until BC is confirmed. PS5 will most likely play PS4 games natively, since it's the same architecture. It might do PS1 and PS2 games, but there may be limitations. How/why? Well, PS4 doesn't read CDs, so if that extends to PS5, you won't be able to use physical media and may need to buy again through the store. And even if they were to opt for digital versions, there are licensing issues which may prevent it. As for PS3... barring some technical wizardry/miracle from Cerny, I don't see PS5 being powerful enough to emulate the Cell and PS3 architecture in software. But I agree with Jim Ryan on this front anyway... I can't play the old games I used to love now, as they do look like sh*t. Besides, as others have said, what's the point in constantly buying new hardware to play old games? Keep your current systems and buy an HDMI switch. My MP3 player doesn't play my CDs. My CD player doesn't play my records. My DVD/Blu-ray player doesn't play my VHS tapes. It's a new system. Move on. I'm in no rush for PS5 to arrive at all, but I'll be buying day one, regardless of backwards compatibility. It might be the last disc PS5 and a tribute to playstation years that might play all the playstation era discs. I just hope it plays PS4 games that would be great as then people wouldn't have to trade there PS4 games and console to get a PS5. If it plays PS4 games then people will stick with playstation for PS5 and they would not get a next xbox or playstation making up their mind. I hope it plays PS4 & PS3 games but if just ps4 that would be wonderful enough. I'd be thrilled if it was fully backward compatible right the way back to the Ps1. I don't necessarily expect that it will be but for me it would be massive selling point if it was. I already have my PS4 Pro, Nintendo switch, Wii U (fully backwards compatible with Wii games I might add) and Sky Q boxed hooked up to the TV and to be honest I'm all out of HDMI ports so one system that plays all ps games would simply be perfect. If PS5 has backwards compatibility the sale or trade in value of PS4 will tank to all time lows. The amount of PS4's for sale will cause this. I expect PSN and used old game to more then double in price. I have never found backwards compatibility important because I have always kept my old consoles along with its games. It's important to keep access to past generation games the first year or two of a new generation while waiting on the library to build up. After that time most pack away older systems. As you continue to purchase new games the old ones will no longer remain appealing. Remakes give you a very good reason to play that loved old title once again to relive it in it's updated glory. @BAMozzy but consoles break. My less than 2 year old PS4 decided it wasn't gonna work after the last software update and Sony say as it's out of warranty it's gonna cost £130 to repair. Anyways my point is. Things break. And if your Pro dies. It would mean buying another ps4 to play them games assuming they are still on the market at that time. Personally, I don't mind if it's just backwards compatible with PS4 as I've already bought most the HD collections and remasters I want. But I don't wanna have to keep rebuilding my psn games catalogue every console generation. I think the next gen BC is a must. I certainly don't have space for a PS1 PS2 PS3 PS4 and PS5 hardware in front of my TV. Backwards compatibility should be a must on all console in my honest opinion, not that it is needed but more about the choice to play older games that you have bought and loved over the years. I personally still play older ps1/ps2 games from time to time, Blood Omen and the Legacy of Kain saga games just a couple of the classics that you just can't play anymore. So the debate of Backwards or not, is that every gamer should have the choice to replay old games that they loved and made them keep playing the systems that allowed the companies to move forward and build bigger and better systems. "Never forget where you came from and what got you there in the 1st place"
@Jimmy_G_Buckets Because older games are games that wanted the player to have fun instead of having to make purchases just to enjoy things & they were complete. versus today’s games that are full of bugs that aren’t fixed until weeks after, dlc that’s probably unfinished stuff that they decided to wait and make extra bucks from, and QTE, not to mention how all you need to sell a game these days are pretty graphics and blood. At least in the West. Even indies have more soul to them. @JohnKarnes but this current generation are outstanding quality experiences. 1080p and 4K I don't think this generation becomes as unplayable as previous console upgrades. Its anti consumer. Imagine having to rebuild your movie catalogue every 5 or 6 years. Or rebuy albums you've already paid for. It still bugs me that I can play digital PS1 games on my PS3 but not on my PS4. It's a digital game, what's the problem? Heck even my Vita can play them. @BAMozzy I’ll have to make a correction, Wii had full GC compatibility out of the gate - and also introduced the 480p mode to many GC owners who never bought the digital cable. So, one could trade in their Gamecube towards a Wii. Backwards compatibility, for me, isn’t necessarily a requirement, but it would be nice to declutter my house and not have every. single. console generation. It’s just so convenient! Plus, it also means I can trade in my PS4 Pro towards a PS5 without losing out. @Gremio108 I'm not buying a ps5 unless it can play VHS tapes. My PS4 backlog is so large, I’ll just keep playing PS4 games on my PS4 for a couple years unless PS5 has either A) must-have launch games, or B) Backwards compatibility. I never buy consoles till 1-2 years after launch to give it time to build a library of games to play. But if the PS5 was backwards compatible I'd buy it right away. I can play the few launch titles I want and keep playing my old ps4 games. Plus I can sell my ps4 for some extra coin. Win win. Come on, guys! Of course BC is important for PS5. To be honest, it would already be a nice-to-have on PS4. Reason #1: PlayStation Store! Digital libraries are a big thing nowadays. You can certainly keep your physical games in future generations, but what about those who depend on servers? What's the appeal to maintain servers for old games that can only be played in old consoles? BC can keep your collection alive and well. Reason #2: Playstation Store Part 2! Sony can get a huge revenue by selling games that require close to no costs for them, since they've already been produced. Reason #3: Retro games areite a big market now. Reason #4: Do not underestimate PlayStation 4's library. It may not have BC, but it brought both amazing new games and beloved old ones. From Uncharted to Tomb Raider to Kingdom Hearts to Crash Bandicoot to Spyro, can you deny that most franchises are part of it? I mean, for a lot of them we actually have the ENTIRE franchise back. 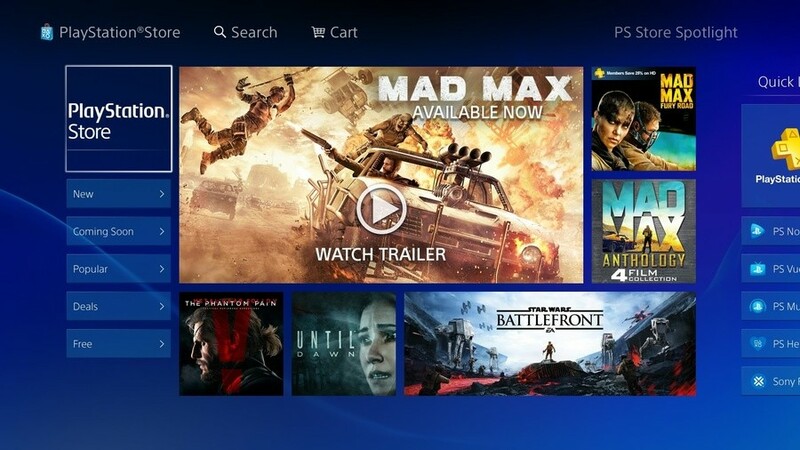 Reason #5: PlayStation Platform: Subscription-based Gaming as a Service. You can refuse it as much as you want, in the future we won't have local games anymore, running them from the Cloud, possibly on multiple devices. Everything is moving towards this direction (think Netflix, Spotify, Kindle Unlimited and so on). Tell me, when this is the reality, would you choose the platform with your entire digital library or one of the countless new platforms that will show up in the market? And these are the top ones I can think about. BC wasn't a big thing until this generation. It's essential now. As a business I think there is a market gotta spend a bitta money to maka bitta money........all eyes are on Sony. Just 1 thing worth noting true gamers are not bothered by graphics its the gameplay and in my honest opinion we have exhausted all avenues regarding that area. @JohnnyShoulder Exactly. A super-console that can play every form of media ever devised. With a grill on top. Day one for me. @NintendoFan4Lyf OK I was wrong about the GC to Wii but in general, Backwards Compatibility isn't the norm - certainly not 'FULL' Backwards Compatibility. Its also more complicated now thanks to the mid-gen consoles - the Pro and X. Its no longer just a 'single' set of parameters that the console has to either emulate or build in but at least 2 sets of parameters to ensure the games run properly. The games are built and tuned for the console hardware and more recently for two sets of hardware that trigger the PS4 Pro to engage the half of its GPU and run at its full capacity - otherwise it runs at 'half' or even less than half (depending on whether you have boost mode engaged or not). Boost mode has had issues with running some games properly and comes with a disclaimer by Sony too because games are optimised to work purely within the parameters of the hardware - which includes the timing of processing based on the exact CPU and clock speed. Even switching to a Puma, same family but just newer and more efficient, wasn't an option for the Pro because of the compatibility with the existing PS4 games. The Xbox does BC by emulation. That isn't 'total' BC either and the Original PS3 was fully BC at launch because Sony built in the PS2 chipset - part of the reason that the PS3 was so expensive. Dropping total BC by removing the PS2 chipset and reducing the cooling and USB ports, as well as moving to a smaller die Size was how Sony managed to make the PS3 so much cheaper but it also affected the BC of the PS3. The only way to guarantee 'total' Backwards Compatibility is by building in a PS4 into the PS5. Emulation isn't 'total'. I am not saying the PS5 won't have any 'Backwards Compatibility' but I would be surprised if they manage to offer 'total' BC with EVERY PS4 game and to do it without building in a PS4. Again don't know how they will handle Pro enhanced games either if they are looking at total BC. Sony also know that MS, with its (limited) BC and the 'most powerful' console on the market still doesn't sell as many consoles a month as the PS4. It hasn't started to close the gap by selling more and the PS4 continues to pull further ahead. All the evidence of BC being a must have feature is simply not there. Apart from a handful of people demanding it, even though they ALL have a console that plays all these games on right now, the evidence that BC matters is pretty non-existent. It may help convince people to trade up in the opening months but the PS4 sold more than any other PS without it and Sony was able to make a LOT of money on remasters too. Don't get me wrong, BC is a 'convenient' feature but I already have a console that plays ALL my PS4 games on. I would be happy if all the money I am spending on PS5 goes to playing PS5 games at the best level possible - not compromised because of Backwards Compatibility - whether that's 'weaker' specs to fit in at a certain price point or priced more expensive because of BC. As long as I can play all the games I've bought for PS4 with the DLC included (disc and digital) on PS5, I'm good. The ability to redownload PS1 and 2 classics I bought from the PS Store in the PS3 days would be cool too but is more icing on the cake. Full PS4 bc is an absolute must. @OmegaYato I really think people need to stop throwing around this word anti-consumer, because failing to offer an unprecedented backwards compatibility solution spanning systems dating back to the mid-90s is NOT an example of anti-consumerism. Personally, don't care less about BC. Pretty much as soon as I started playing my ps4, the ps3 was retired, and that was when it was only games like Dead Nation, Dust, Contrast etc, let alone some of the more well known recent titles. People seem to cry and moan about this feature, but I bet 90% of them would use it once in a blue moon, whilst picking up the latest and greatest that there is on offer. @get2sammyb Sony’s done more than that. Everyone just blindly defends them, that’s why a lot of their crap doesn’t get noticed. Backwards Compatibility should be included for at least your digital backlog. Some of these like Scott Pilgrim VS the World are stuck on your PS3. Once that system fails you lose that game. Would be nice to have a newer system to play these on. We all know it just concern trolling for console war fuels, of course ps5 will have BC for ps4 games, do people really think sony choose x86 architecture just for fun? Sony will have BC for ps4 games because they want to lock users in the playstation ecosystem, at this point in my ps4 life, my digital games is worth more than the console itself, there's no way sony won't have BC for ps4 games on ps5. I don't think they will allow BC for ps1, ps2, and ps3 games though, it's not about emulation but about digital licensing. Unless they put ps1 or ps2 chips on ps5, which is unlikely. If they allow BC, then hopefully I can take my PS4's 6Tb HDD and plug it directly in the PS5 so I don't have to redownload it all! I’ll admit I’m not a techy so this is what I want rather than what’s possible or what I’m gonna get: Full backwards compatibility at Pro standard. I’m likely going to upgrade to a 4k hdr tv when I get the ps5, so it would be great to replay the likes of Spider-Man, God of War and Horizon again while I’m waiting for the library to build up on the new console. I’ve read @BAMozzy ‘s explanation as to why this isn’t simple, but I still hope the tech wizards at Sony can pull it off. They don’t pay Cerny the big bucks just for his charming personality. Spot on, I've been using my Wii as a souped up Gamecube for a while now since like most people, I'm not willing to shell out 200 dollars for a cable that outputs 480p for the GC. Using Nintendon't on my Wii, I can literally play 90% of my Gamecube library on my HDTV through the Wii's higher quality component cable. The 10% that don't work correctly work fine if I disable widescreen mode on nintendon't's settings or simply bypass Nintendon't altogether and run the disc directly. The only reason I use Nintendon't at all is to force all the games into a wide-screen that doesn't butcher the aspect ratio. Even without that software, the Will can run GC games at perfect 480p. Ask any competitive Melee player how important BC can be for some people and they'll tell you. Through some minor softmodding, the Wii U can also run GC games, giving the player access to GC, Wii, and Wii U all on one console. If BC didn't matter to people, no one would ever do this, but lots of people have. Aside from that, look at how in-demand the 60GB PS3 model is. It's the only one (in the US at least) that runs PS1 and PS2 games and it costs far more than the later models that took away that feature. People will gladly pay the money. Hell I myself have two PS2s, one of which I use as a dedicated PS1 player because both my other PS1s are broken. It's an extremely important feature for any console's longevity. This is all on top of the fact it can potentially reduce shelf space, which someone like me can definitely appreciate because I have tons of consoles and games taking up space and sometimes it's nice to have one console that can play multiple formats. Let us all not forget that this is one of the things that helped kill the Vita since the only way to play PSP games on it was to rebuy the digital versions and it doesn't even support the entire PSP library. That's a real shame because I would have actually bought a Vita just to play Portable Ops Plus and Monster Hunter Freedom 2 with dual analog, but of course, I can't do that because neither game is supported. Brilliant work, Sony. They would have been better off not to support PSP at all on the Vita. As far as how often it influences my purchases on new consoles.... I'll be honest and admit that it's very rare for it to actually matter, the exceptions being PS3 and Vita. I bought a PS4 knowing full well that I would not be able to play PS3 games and it just gave devs the excuse to re-release PS3 games on it as "remasters" anyway. What I really wanted to comment on though was that copy of Valkyrie Profile in the image. Nice touch! Someone has good taste. EDIT: Completely neglected to mention that my copy of Eternal Darkness has issues working on my GC, but works fine on my Wii. Likewise, Smash Bros Brawl won't work 90% of the time on my Wii, but works just fine on my Wii U. BC definitely comes in handy in situations like these. Not to mention that some games, like Pokemon, THRIVE on BC because having some form of access to previous gen games ensures you can carry over more of your Pokemon. Plus, my DS Lite's top screen recently broke (the hinges finally snapped) so using my 3DS to play DS games has been a real boon. As for Gameboy, the original Gameboy was never really that great in terms of visuals and the GBC and even early models of the GBA had no backlight, so here comes the GBA SP to save the day with a backlit screen and able to play Gameboy all the way up to GBA. While my Gameboy still works just fine, not having to stare at that greenish-black screen and wait for all the planets to align to get perfect lighting is huge. The GBA SP is one of my all time favorite handhelds and the primary reason I love it so much is the excellent BC is provides. So yeah, one of the biggest bonuses I can think of right now for BC is when a console breaks. I mean sure you CAN keep your old consoles around and I'm the world's worst to have dozens of consoles all hooked up to the same TV, but sooner or later, they break or won't read a disc or something.When that happens, being able to reach out for a console you potentially already own to play the same game helps out a lot. In those cases, all the digital purchases in the world won't help you if the console they're stored on breaks. tl;dr is BC is extremely important especially over a long period of time. That's why Microsoft tried to patch in support for it in the Xbox 360. While it may not be a driving force behind every purchase, it's still not something to easily be dismissed. Having BC can sometimes give one console the edge over another. @JoeBlogs No they pay Cerny big bucks to make Knack too. >It’s a clumsy comment to say the least, but there’s no doubt that certain genres of game age less gracefully than others. Would you honestly pick FIFA International Soccer over FIFA 19? Definitely, but I'd still rather be playing an actual good game like International Superstar Soccer DX. @OmegaYato Pretty sure you'll be in anyway. "Would you honestly pick FIFA International Soccer over FIFA 19"? Nope, but I would play Sensible World of Soccer of FIFA 19 any day of the week! Only an idiot would write off BC as a novelty or unimportant. In what alternate dimension is MORE games a bad thing? I'd be more than happy if PS5 was BC. Why WOULDN'T you? If it means you don't have to buy your (undoubtedly re-released) PS4 games again, it's win win. To be honest, there's only a select few PS3 or PS2 games that I'd be that bothered about, and most of those have already been remastered for PS4 anyway. As long as I can finally play Tony Hawks Pro Skater 3 again, I'm happy. Why oh why oh why is there no way to play that game current gen. I miss it so much!!! I think the big win with backwards compatibility is the ever expanding library of games that you can just run and run with. I mean PS now has a real history in the market and one that is starting to have a similar appeal and meaning to those with disposable incomes as Nintendo does to myself. The reception for Spyro, Crash and Shadow of the Colossus should be evidence enough of this! There will be more and more folks who want to have access to an entire library across multiple generations just because some of those games mean so much to them growing up and now as a collector of all things PlayStation but want the modern convenience of not having to have 5 generations of consoles and handhelds filling their living space. My Xbox library is fantastic for this and I wish I had kept far more of my games now. Is it a deal breaker? For most - no but with MS going the extra mile and there being relatively little to differentiate the two sides I feel it would be a big loss for Sony not to have it come launch day. As someone ancient enough to remember, I kept the choicest PS1 games when transitioning to the PS2 and still played them until the shinier PS2 editions of those games came along. The PS5 should be exactly the same - the architecture will easily support it so in the end it just comes down to to software emulation of the PS4 OS. If you can start off with a happy user base of millions of PS4 owners taking their games to the PS5 then the next gen would be over before MS got a foot in so why wouldn't Sony do that? @doctommaso You’re talking to the same person who skipped the PS3 & Xbox One for different reasons. Can I play the games I already own (PS1, PS2, PS3) on disc? Otherwise, it's pointless. I'm not re-buying everything I own. he same is true for Albums; record player, cassette player, 8Track Player, reel to reel tape, and compact disc. Real retro gamers never trade in or sell their old consoles for a $100 off a next gen system. The only way to have 100% BC is to keep them. That game you want to play with BC so badly has a chance to be on the Don't work with BC list. Sorry for the rant in advance. It's a long one. @JohnKarnes But that's a completely different thing, someone who wants to play PS4 games on a PS5 is not a retro gamer. I want to be able to play RDR2 in years to come. Playing Journey or the Last of Us on my PS4 doesn't make me a retro gamer. Owning a Dreamcast does but that's a different time. Digital store fronts were not a thing then on consoles. Times have changed and people want to bring digital catalogues with them especially when funds are tight and they've invested lots of $€£ in this digital content. Look at it this way. I buy a game off the Google play store. I want to be able to continue to watch that film on my next phone/tablet/smart TV. I've paid for it and I want it to come with me when I upgrade. And that's exactly what I get. It works. It wasn't always this way. A VHS or cassette for example is mostly useless now. But a DVD will still play on my Blu-ray player. And my digital films/albums will play on practically anything. It's progress and its consumer friendly. When I buy a PSN game it's the same deal. They shouldn't lock out all the games to a previous generation as soon as the next one comes out. The PlayStation 4 Pro plays all PS4 games (obviously it's a PS4) but it's still an upgrade in hardware. This is how it should continue going forward. Why stay loyal to a specific brand if you have to rebuy your games every time you buy a new PlayStation. And what's PS5 gonna have at launch? Like 10-15 games that look a little bit better than PS4 games? What if they're all average or not to most peoples liking? I think at launch BC is more important than any other time. 3-4 years into a console cycle when they've got a good few exclusives and the price has come down it's gonna grab people but surely releasing a new console with a back catalogue of 1000+ playable games is gonna tempt people to upgrade. Also, why would Sony want to cut off the majority of its PSN store games to a previous console that they'll be moving away from by that point. BC on a PS5 for PS4 games at least is a must. If Sony don't do that they risk losing a chunk of the market share. I say that as a Sony fan. Who has bought every playstation with the exception of the recent PlayStation Classic. Yes even PlayStation TV. "why would anybody play this"
Because they're FUN. You know, Jim, the whole reason why people put their money down on them? Games don't suddenly stop being fun just because something newer comes down the line. Super Metroid was fun on its release and is still just as fun today as it ever was. Super Mario 3 was fun on its release and the same goes. If you don't understand that, then maybe you should be working in a different industry. Sorry I feel more confident In my PS4-Pro its 100% compatible with my 100's of PS4 titles. It's NOT 25%, 50%, 75% or even 99.9% compatible it's 100%. If it dies I will replace it for that reason. My PS2 had read issues about the time PS3 came out I bought a Slim PS2. I didn't want a PS3 for $600 with backwards compatibility! I still have the ability to play all my past PlayStation games. Never lost any title digital or physical. @Averagewriter no one would play ps1-ps2 GT games over the new ones. @JohnKarnes I'm not debating with your opinion. I'm speaking more in general and personally. What you do is your choice. And I would want the PS5 to be 100% backwards compatible with the PS4 Not 25%, 50%, 75% or even 99.9% compatible. 100% 😀 I've got enough clutter in my house. Only so much room on my tech shelf. Somethings gotta give. @Amppari over the new one? It's not one or the other. I love GT Sport but I would enjoy a trip down memory lane playing the original to see how far it's come. I get what your saying. It's not a brilliant example. But plenty of games are worth revisiting. FF7 for example. A game I have foolishly bought on PS1, PS3 and PS4. Am I gonna have to buy it again on PS5 because I tap out. I'm cool with remastered games but I'm done buying the exact same games every time a new PlayStation comes out just so I can continue to play it on my current system. Well I honestly could care less about PS1, PS2 or PS3 games. But it will help to have PS4 access just in case I not finished a few ganes on my list. As I consider it extremely unlikely I will have cleared my PS4 backlog by the time the 5 launches, BC will determine if I get a 5 when it launches or several months later when I clear my backlog. @get2sammyb I hope its true. Because I sold my PS4 Pro without having played Spiderman, Shadow of the Colossus, Uncharted Lost Legacy and I will definitely not play Days Gone because I don't want to play them on PS4. I want to play these awesome games on PS5 with 4k60fps and higher fidelity comparable to PC. So, SONY! at least give the PS4 compatibility and definitely the games patches for PS5. To be honest, BC doesn't bother me at all since you can easily emulate all games from the PS2/PSP era and previous, and even PS3 now if you have a good PC. And before people say "but I want to play it on my TV!" then you can do that too by streaming or just plugging your PC in with a HDMI cable. That said, it would be a big perceived victory for Sony, even if 99% of people never use it, so I definitely think they should aim for it. @Onion You could play your GC and Wii games in 1080p or above with anti-aliasing, texture filtering etc, on a very modest PC too. If Sony lets you play the games you have already purchased from PSN that would be even better. There are plenty of PS3 games I bought off there I can't play anymore because my PS3 got the YLOD- not to mention titles that never were on the PSN like Haunting Ground. @Averagewriter yeah agreed. If/when my PS3 dies I'll be gutted to loose all that psn content.